How much can one man love his lonely mother? Enough to invite her on his weeklong road trip across the United States. This comedy is a sidesplitting look into the lives of a single mother, played by Barbra Streisand, and her middle-aged son, Seth Rogen, who can’t make one move in life without his mother effortlessly smothering him by sharing her opinions, commenting on every aspect of his life, giving directions as to how he should better his career as an inventor, and express concerns about the way he is living his life. This movie is relatable, on some level, to many mother-son relationships. The seriousness of their relationship can be felt in few scenes pulling at the heartstrings, though through most of the movie the attitude is kept light and giggly with the pair’s comical improvisations. 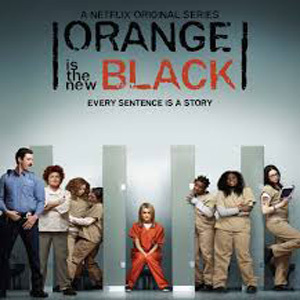 For those unaware, the Orange is The New Black television series is gaining popularity across the country. Puns aside, this T.V. show is a hilarious and heart-wrenching piece of entertainment that ties drama, romance, comedy, crime, compassion and mystery all into one series; which is why so many people have gone on raving about it. This is the story of a happy, seemingly innocent 30-year-old woman, Piper, who’s been sentenced to fifteen months in prison on account of a crime. She was convicted for transporting drug money for her drug dealing girlfriend a decade ago. It should be known that ten years after a crime is committed, it is no longer eligible to be taken to court; it is pardoned and not arguable. This is where the viewer’s frustration comes into play. Piper has long since dumped her drug lord girlfriend and found a nice fiance´ whom she has created this great new life. Someone from the inside of the drug dealing operation let it slip that Piper had helped transport drug money, putting her life on hold and digging into her past, which may just become her present again. 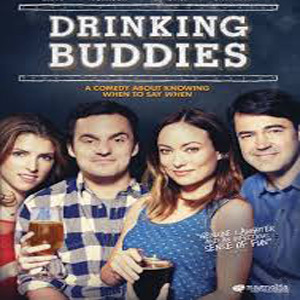 “Drinking Buddies” is a largely improvised romantic comedy show. The cast itself should be a giveaway that comical endeavors are surely to be ensuing in each episode. With Olivia Wilde, Jake Johnson, Anna Kendrick, Ron Livingston, and Jason Sudeikis as the main characters, it’s almost a dead giveaway that what you’re about to watch is explicitly funny and worth your time. In the show, Luke, played by Jake Johnson, and Kate, played by Olivia Wilde, are co-workers at a brewery located in the ever-so eclectic city of Chicago. Here, they spend their time drinking and… well, just like any other romantic comedy, flirting. It’s apparent to the viewer that the pair is very suitable for each other, yet there lies the issue of each person being in a dedicated relationship. Kate is caught up in the life of her producer boyfriend, while Luke is busy with his girlfriend of 6 years and talks of marriage. The tension is clear, but unspoken, and nothing succeeds in getting the truth out like alcohol. Behind the seemingly innocent atmosphere of the beloved institution of Sea World, there lie dark shadows behind the tanks. 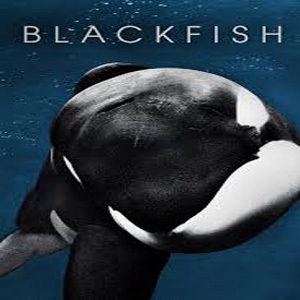 This hour and 23-minute long documentary gives viewers a behind the scenes look on what is truly happening within the walls of the child-friendly Sea World and examines the lives of Tilikum, a performing killer whale. Tilikum is recognized as the cause of death for several workers during his captivity, including a top killer whale trainer, and questions the well-being and humanity of holding these beautifully intelligent creatures captive. This documentary explores the effects of the long-term and harmful living conditions of these mammals might just be the cause of their lashing out and violent outbreaks towards their instructors. After watching, it is only natural to question what was once known to be the seemingly innocently and blissful water park we knew as children.